Welcome to our web-site! 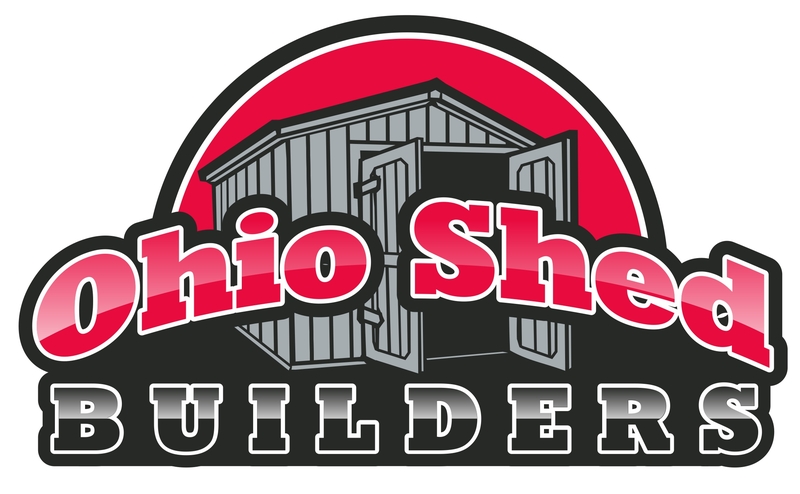 We're a Central Ohio based company that's been in the barn and shed industry for over 15 years. Our #1 priority is building timeless quality wood products, our goal is achieving 100% customer satisfaction. Every project is handled with integrity and professionalism for you and your home. We appreciate your consideration and want to earn your trust. Our portable garden sheds and mini barns are crafted with high quality materials and craftsmanship. They're designed to be attractive, affordable, and engineered to be durable and long-lasting. 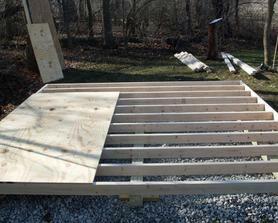 We use treated floor joists to prevent rotting and insect damage. The doors are strong and built to last using 6' continuous hinges, and are fastened together with screws. While some projects are completed on-site in just a couple of hours, we take the time to consider quality along the way. We're the manufacturer and build what we sell. No sub-contractors, or staples are used during the construction process. Delivery and on-site installation included within 50 miles of our shop in Groveport Ohio. 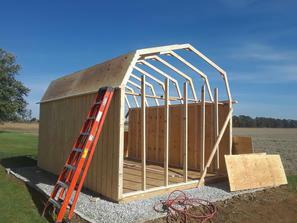 We have a nice selection of styles, sizes, and building options sure to meet all your backyard storage building needs. We have a few demo models available for viewing anytime at your convenience. For assistance please call ahead as shop hours vary and we could be out on an install. For the most affordable, knowledgeable, and easiest shed buying experience around, call and place an order today!